A few weeks ago I wrote a guide about strategies against frontier brains in order to get GOLD symbols, now I want to complement it by adding the recomended pokemon in order to win the SILVER symbol. I wont be posting entire teams, since nobody wants to raise a new one for each facility. Just one or two pokemon that could help you against the frontier brain. Again, the frontier brain´s pokemon and movesets are courtesy of psypoke. Alakazam dies after double edge ( use the rock head trait); rock slide 2HKO entei; and snorlax get 2HKO by double edge as well. Chesto is just to wake up from snorlax posible yawn, but lum may be better. Alternative you could use a with choice band and earthquake; as long as you can outrun Alakazam the other pokemon should be easily defeated. 69 battles are way to much to aford losing against her, In my modest opinion, a pokemon that should be in your team against her is , because none of Anabel´s pokemon can do normal damage on it. Raikou is death after an earthquake, if you use screech you will be able to sweep snorlax easily; and if your other pokemon havent fainted, exploding should 0HKO Latios. Thunderbolt may take care of charizard, but if it doesn´t, overheat will probably KO you, thats why destiny bond may be better. I can´t go wrong with this, the best pokemon to use here is , it makes you untouchable. Pretty much standard salamence, start with dragon dance, then AA should kill heracross. Brick break 2HKO umbreon, and the lum shuold get rid of confusion. Aerial ace owns shedinja. Taunting umbreon screws greta´s strategy due to umbreons low attack stats. The same thing happens with gengar since it only offensive moves doesn´t afect absol. You should go this way: First taunt umbreon, then slash him the other two turns. Gengar is faster than absol so he will probably hypnotise you, but the chesto berry will take care of that, taunt also messes up with gengar; then you can shadow ball him to death. Then breloom wont be a problem, with some EV´s in speed you can easily overun breloom and aerial ace him wich will probably KO him. With a subsitue out there umbreon can only scratch you before it gets KOed by focus punch; gengar can´t touch you, and aerial ace will kill breelom. A with surf and psychic should take care of shuckle and seviper. Thunderbolt could be used against Mliotic, but this is a danger since it can surprise you with mirrior coat. If you use blissey as a cleric ( you should ) milotic wont be a problem. Alternative you could use with earthquake (goodbye seviper) and meteor mash (2HKO shuckle). With EV´s into defence and special defence you are pretty likely to win this matc, surf will 3HKO regirock, you can earthquake or mirrior coat regice and with a few curses on it, earthquake will KO registeel (unless it uses iron defence). Skarmony can wall regirock and registeel easily, use max double team against the rock golem and then spike/whirlind; thunder has low accuracy and after you use 6 double teams, it wont hit you. For the last pokemon (when you can´t use whirlwind). Switch onto another pokemon to beat it. As you can see, brandom has a very unbalanced tem, with Choice band and rock slide/ancient power is your best choice here. Pokemon with good special defence like are good too; a with rock slide work wonders too. Pretty hard to find a pokemon to couter this, maybe a hasty with choice band and meteor mash. A Skarmory walls slaking and crobat, and it can P-haze away double teams, you may want to use double team, toxic, whirwind and drill peck on skarmony, that way you will never be "incapable of using it´s power". A Hasty with Choice band and rock slide its pretty good, it can take arcanine out the way, and luckly attack three times slaking, with his good defence. Once arcanine is death I recomend or another physical wall for slaking and or another special wall for suicune. If you have other sugestions in order to win against frontier brains please post it. Last edited by garabato on Thu Jan 18, 2007 8:15 pm, edited 1 time in total. Speak with Tiger. Go to the Game Guides Section. 1.) Grammar. A person needs to be able to read this. "A few weeks ago I writed a" -> A few weeks ago, I wrote. Also, going over you're reccomended pokemon...Tycoon Gretta's Gold symbol can also be obtained thru shedinja. Pyramid's silver symbol, note that they're all weak to FIGHTING!!! Brick Break/ F-punch > Mirror Coat/Rest. For the gold, Blissey doesn't works, as there are 2 drillers and a hyperbeamer. Thanks I will PM tigger right now. I had thinked about shedinja too, but if you hit yourselh due to Umbreon´s confuse ray you are dead. The pyramid.. of course¡¡¡ How could I not noticed it !!!!!. Sword dance/endure/Reversal Heracross wins inmediatly, and it doesn´t even nedd salac berry due to the regis low speed . Unless regirock outruns you thanks to quick claw, I guess you have to be very unlucky for that. Tiger edit: moved. I guess it's okay as long as the point of it doesn't stray too close to the other Battle Frontier guide. More details are in the PM if you haven't checked that yet. Good guide, Garabato. This is so useful and it helped me alot in Frontier. Location: Playing with a furret. There's no need to bump this. But anyway this is a great guide garabato. nice spam ya... this would help if we had the pokes!!! Re: Guide to beat frontier brains. thanks this topic helped a lot. 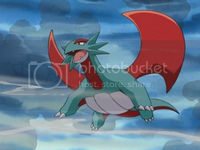 Milotic and lapras should be able to handle Swampert if Gardevoir fails. nice Strategies but try to observe proper Grammar. To those knowledgable people who will read this, they will be annoyed of your grammar and leave this thread. Good guide, this really would help with the frontier brains. Except my problem isn't the brains, it's the hundreds of hazards I have to fight to get to them. Brandon is the easiest one because in each of his teams there is a common weakness. Fighting type attacks for the Regis and Rock type attacks for the Kanto birds. Just one or two pokemon that could help you against the frontier brain. Fighting type attacks for the Regis and Rock type attacks for the Kanto birds.